ABB ,AC Tech,Allen Bradley,Alstom ,Ambi-Tech,Baldor,Benshaw,Bodine,Boston,Gear Cleveland Machine CMG,Contraves,CG ,Control Techniques ,Cutler Hammer ,Dart,Danfoss,Delta Drive,Dynamatic,Eaton ,Electrocraft,Emerson,Fanuc ,Fuji Electric ,Gettys ,Glentek,Gould,Graseby Volkmann Halmar,Hitachi,IDM Controls, Inc. Indramat ,omron,IndustrialDevices Inland,KB Electronics,Keb,Kollmorgen,Leeson,Lenze,Louis Allis,Love Joy,Magnetek ,Minarik,Mitshubishi,Modicon ,Moog,Motortronics ,Pacific Scientific Panasonic ,Parker ,Refu ,Reliance, Safetronics,Sanyo Denki,SBC Motovariatori,Seco,SEW-Eurodrive,Siemens ,Spang Power Elec,Square D ,Superior Electric,TBWoods,Telemecanique,Toshiba,Unico,Vacon,VeeArc,WER,Westinghous,Yaskawa . 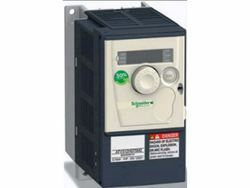 We are offering good quality variable speed drive at affordable price. For any deal and queries feel free to contact us. 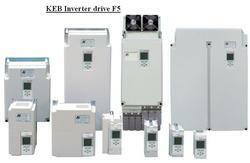 We are proving Good quality KEB Inverter at various Models. This type of Inverters are used for various regulated application. This can be used for Motor based asynchronous and synchronous Technology. List Of Model Number we are offering. This Model Number are available in stock.For any quiers feel free to contact us. Packaging Details: 1) Worth Packing 2) Based on customer requirement and pack size. 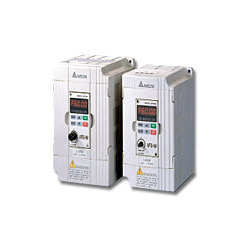 We offer Elevator inverter drive designed specifically for the elevator industry. Third party service provider of your equipment. 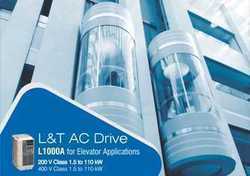 We can provide special Wholesale price and fast delivery for Yaskawa L1000 inverter drives for Elevator modernization and elevator maintenance provider. If you are looking for elevator drives, please contact us. We will do our best to help you find the elevator drives that you are looking for at the most competitive prices possible. * Packaging Machine, Textile machines, Pumps and fans. Packaging Details: 1) Best packing. 2) Based On customer requirements. We supply Variable Frequency Drive has adjustable voltage verses frequency curve and vector control. They come with auto torque boost and slip compensation. The carrier frequency can go up to 15 KHz. The VFD has a built-in feedback control and support communication module. 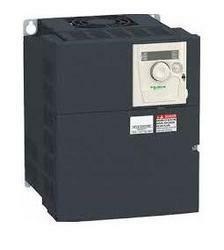 Looking for Variable Speed Drive ?